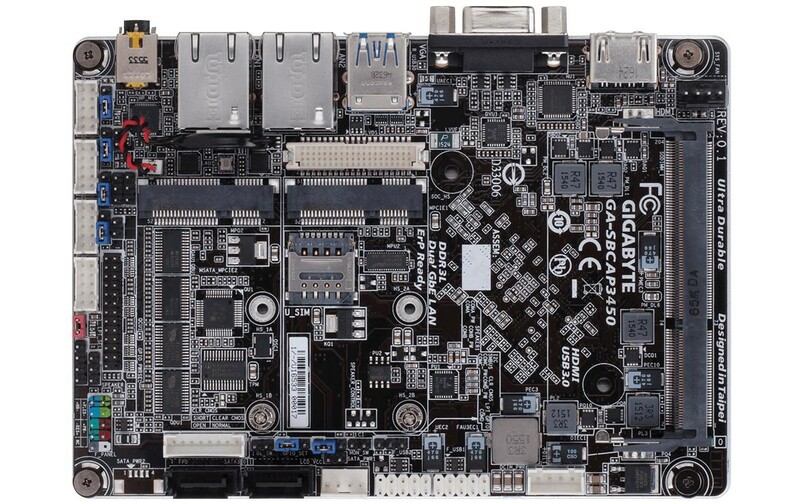 When it comes to single-board computers, the Raspberry Pi is the most famous one however almost one year ago even Gigabyte has unveiled its own solution. The first model was called GA-SBCAP3350 and now, one year later, the company is back with the GA-SBCAP3450 which features a quad core CPU. The GA-SBCAP3450 has been spotted on the official Gigabyte website and it comes with impressive specs. While the Raspberry Pi features a dual core CPU, the latest Gigabyte solution comes with an Intel Celeron N3450 quad core chip. Furthermore there are two mini-PCIe slots and a single SO-DIMM DDR3L RAM slot. Storage wise there are two SATA3 ports. The Gigabyte GA-SBCAP3450 doesn't come in any package, in other words you will have to buy memory as well as storage solution.